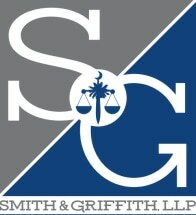 Smith & Griffith, LLP, based in Anderson, South Carolina, is a team of knowledgeable attorneys and professional staff who have been injured or who have become disabled. Our knowledgeable personal injury lawyers have decades of experience winning cases and a long-standing commitment to helping injury victims secure fair compensation. Our reputation in the community is built on our deep roots in South Carolina and our history of providing exceptional service and results to our clients. We are here to protect your interests, fight for your rights and help you secure fair treatment in the justice system. Please contact our office in Anderson, South Carolina, or visit our website to learn more about our law firm. During our free initial consultation, we will help you understand your rights, and how we can help you protect them. Workers compensation is not a sideline for our firm, but a clear area of dedication and in-depth knowledge. John P. Griffith focuses his practice intently on helping injured workers and families. Having your South Carolina workers compensation claim denied or payments delayed can be economically devastating. Attorney John P. Griffith has helped hundreds of individuals and families get all the compensation they need and deserve for lost wages. Many workers compensation lawyers turn down wrongful termination cases or refer them to employment law firms. Anderson wrongful termination attorney John P. Griffith is prepared to handle all aspects of your case. At Smith & Griffith, LLP we have decades of experience presenting evidence to substantiate all types of serious and disabling on-the-job injuries ranging from fractures/broken bones to severe burns. If you have lost a loved one in a fatal South Carolina workplace accident, attorney John P. Griffith can represent you on both the workers compensation claim and the wrongful death claim to ensure that you receive the benefit of both claims.